In March 1938, Hitler expanded the borders of the Nazi Reich by forcibly annexing Austria. A brutal crackdown immediately began on Austria's Jews. 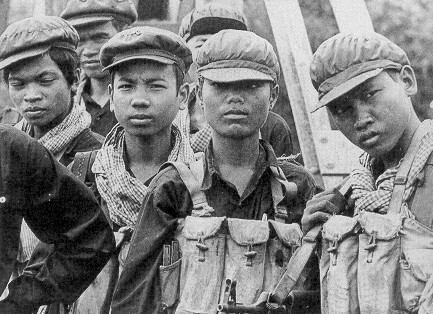 They also lost everything and were even forced to perform public acts of humiliation such as scrubbing sidewalks clean amid jeering pro-Nazi crowds. 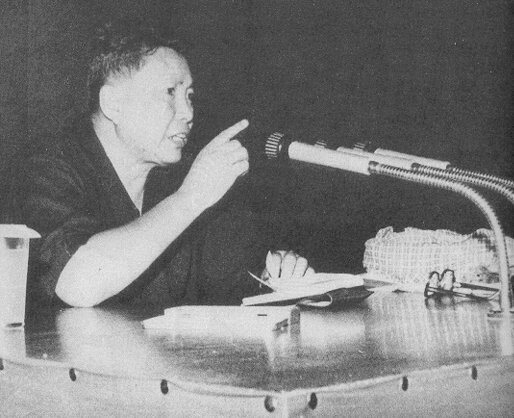 During the summer of 1941, SS leader Heinrich Himmler summoned Auschwitz Commandant Rudolf Höss to Berlin and told him: "The Führer has ordered the Final Solution of the Jewish question. We, the SS, have to carry out this order...I have therefore chosen Auschwitz for this purpose." Map showing locations of Nazi Concentration & Death camps. 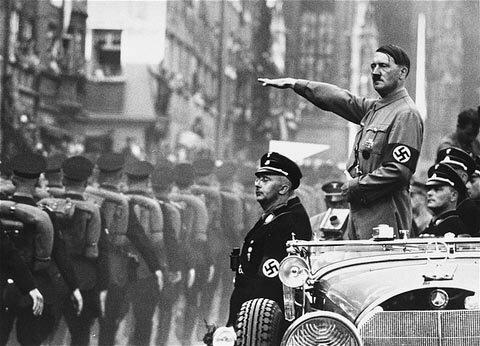 Adolf Hitler salutes SS troops on parade in Nuremberg while SS Leader Himmler (in front) watches. 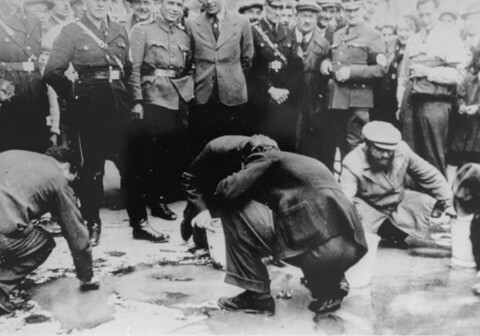 Jews in Vienna forced to scrub sidewalks. A mass shooting somewhere inside occupied Russia. 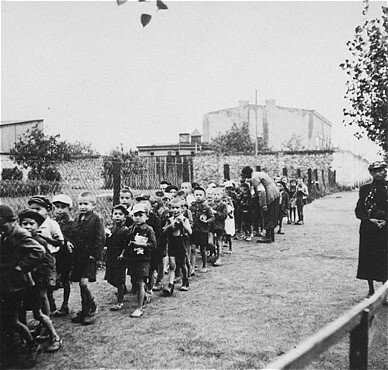 Jewish children in the Lodz Ghetto on their way toward transports that will take them to Chelmno Death Camp. 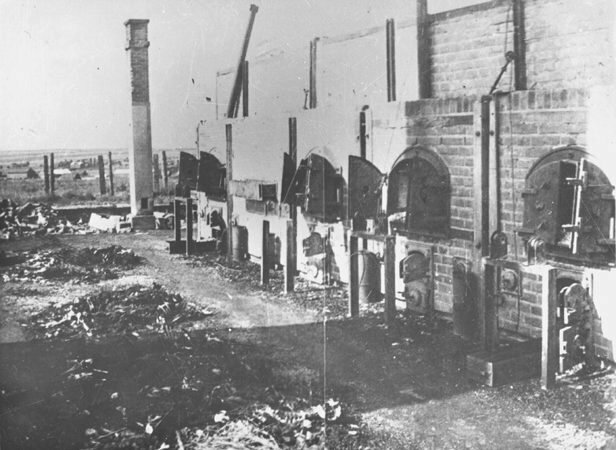 Crematory ovens at Majdanek with piles of human ashes still in front, as seen after liberation. 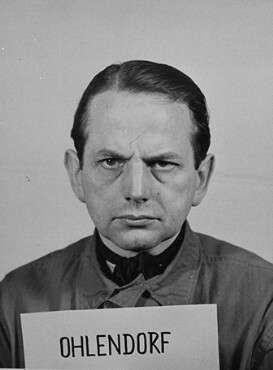 Portrait of Otto Ohlendorf, former commander of SS Einsatzgruppe D, taken during war crimes trials. 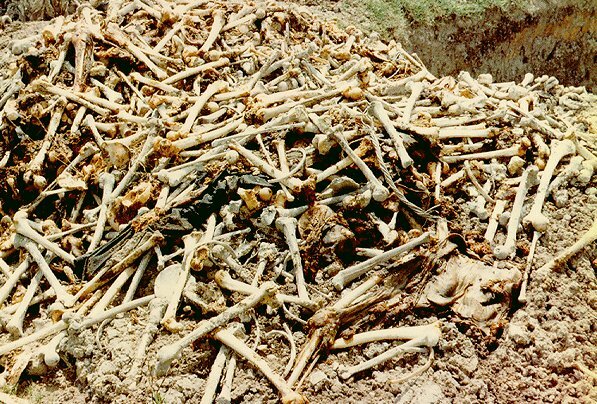 He admitted killing 90,000 Jews, was convicted and hanged by the U.S.
Code named "Aktion Reinhard" in honor of Heydrich, the Final Solution began in the spring as over two million Jews already in Poland were sent to be gassed as soon as the new camps became operational. Hans Frank, the Nazi Governor of Poland had by now declared: "I ask nothing of the Jews except that they should disappear." In the ghettos of Poland, Jews were simply told they were being "transferred" to work camps. Many went willingly, hoping to escape the brutal ghetto conditions. They were then stuffed into unheated, poorly ventilated boxcars with no water or sanitation. Young children and the elderly often died long before reaching their destination. Although the Nazis attempted to keep all of the death camps secret, rumors and some eyewitness reports gradually filtered out. 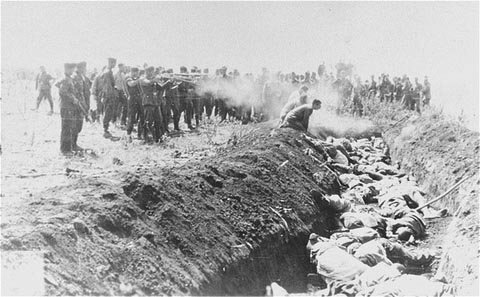 Harder to conceal were the mass shootings occurring throughout occupied Russia. On June 30 and July 2, 1942, the New York Timesreported via the London Daily Telegraph that over 1,000,000 Jews had already been shot. In December 1942, British Foreign Secretary Anthony Eden stood before the House of Commons and declared the Nazis were "now carrying into effect Hitler's oft-repeated intention to exterminate the Jewish people of Europe." During the trial, a now-repentant Hans Frank, the former Nazi Governor of Poland declared: "A thousand years will pass and the guilt of the Germany will not be erased."